An American Tail 2-Movie Family Fun Pack $4.99! You are here: Home / Great Deals / Amazon Deals / An American Tail 2-Movie Family Fun Pack $4.99! 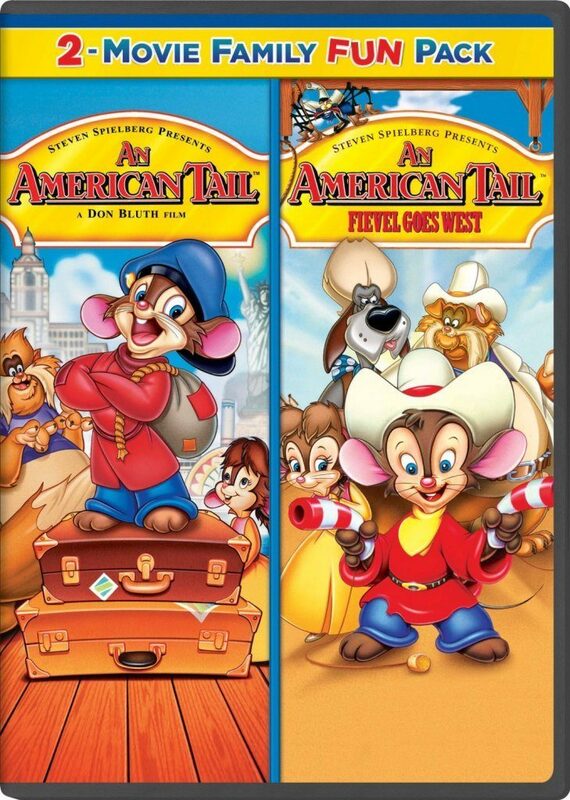 Head over to Amazon and get An American Tail 2-Movie Family Fun Pack for just $4.99 – that makes each movie only $2.50! This would be great to give to the kiddos for Valentine’s Day or save for an Easter basket. Shipping will be FREE with Amazon Prime or an order of $35 or more. An American Tail: From director Don Bluth and creator David Kirschner, this critically acclaimed full-length animated triumph chronicles the wide-eyed adventures of a courageous little mouse named Fievel. Journeying by ship from Russia to turn-of-the-century America, Fievel is lost at sea during a ferocious storm. Washing ashore in New York Harbor, Fievel braves the perils and wonders of a strange new world in a thrilling quest to find his family. Featuring the voices of Dom DeLuise, Madeline Kahn and Christopher Plummer, it’s a rousing, heartwarming animated adventure for the entire family! An American Tail: Fievel Goes West: From legendary filmmaker Steven Spielberg, this delightful full-length animated feature continues the adventures of Fievel, the brave young mouse who captured audiences’ hearts in An American Tail. Lured out west by the crafty Cat R. Waul, Fievel joins forces with famed lawdog Wylie Blurp to thwart a sinister plot to transform unsuspecting settlers into…mouseburgers! This heartwarming family film features the voices of Dom DeLuise and Amy Irving with an original score, including “Dreams to Dream” sung by Linda Ronstadt.